Climate change threatens to adversely affect economic growth in Kenya, and endangers Kenya becoming a prosperous country with a high quality of life for all its citizens. The cumulative impacts of climate change over the next two or three decades have the potential to reverse much of the progress made towards the attainment of the Millennium Development Goals (MDGs) and Vision 2030. Climate change poses a serious challenge to Kenya's social and economic development. This change will lead to major challenges in the economy, human life and on the environment. Kenya is most vulnerable to climate change since the key drivers of the economy (agriculture, livestock, tourism, forestry, and fisheries) are climate-sensitive. Coupled with the country's low adaptive capacity to climate change, the country experiences a high level of vulnerability. 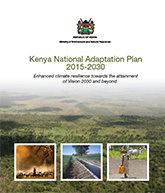 In order to enhance investment that aims to reduce vulnerability and build resilience of the society, and in line with the provisions of the United Nations Framework Convention on Climate Change (UNFCCC) and its implementing instrument the Kyoto Protocol, the Government of Kenya launched the National Climate Change Response Strategy (NCCRS). The Government of Kenya with support from the Common Market for Eastern and Southern Africa (COMESA), Climate and Development Knowledge Network (CDKN), the UK Department for International Development (DFID), the French Development Agency (AFD) and other development partners is desirous of putting in place mechanisms to enhance the implementation of the NCCRS. 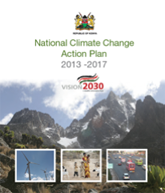 In this regard, GoK intends to develop a comprehensive Climate Change Action Plan.